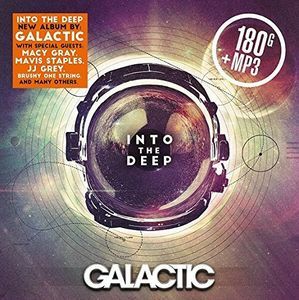 This new Galactic album “Into The Deep” was released on July 17. The album was produced and arranged by band members Ben Ellman and Robert Mercurio and features collaborations with artists they’ve made connections with over the last 20 years—including Macy Gray, Mavis Staples, JJ Grey, Ryan Montbleau, David Shaw of The Revivalists, Maggie Koerner, Brushy One String and Charm Taylor. Pressed on 180 gram vinyl, this album comes with a download card.